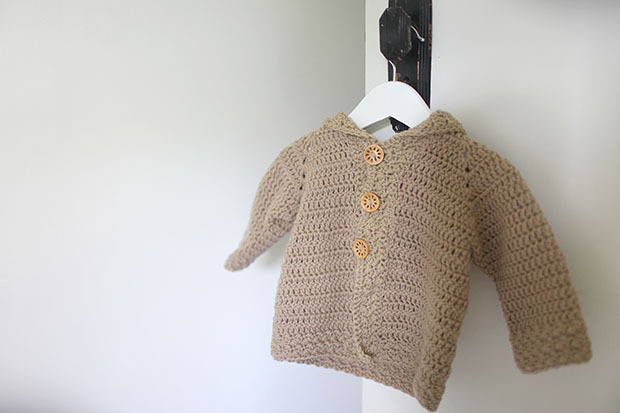 Since Harriet was born, I hadn’t picked up my hooks again to start (or finish!) 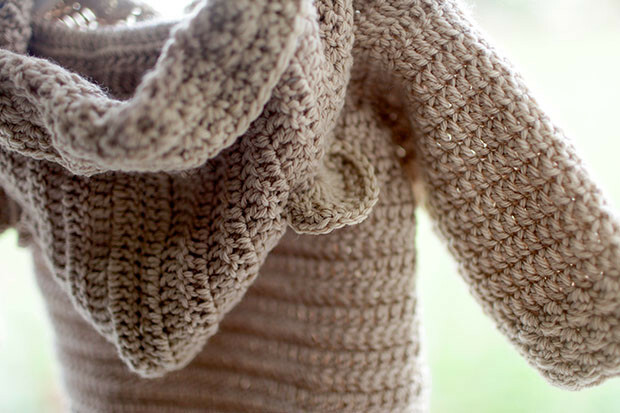 any crochet projects. In the early hard Harriet days, if I had a spare minute I’d like to be staring at the insides of my eyelids! 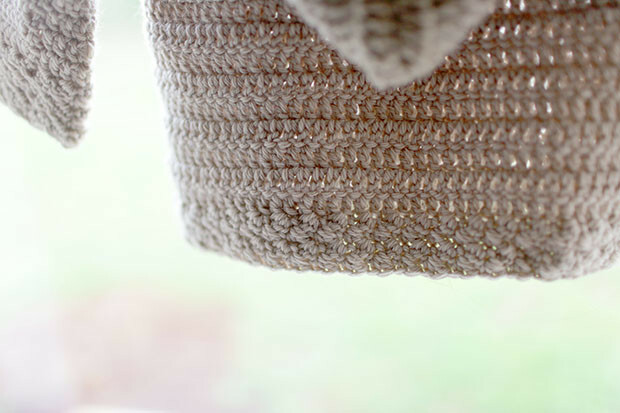 Now ever so slowly I’ve been getting back into the hook of things, especially as the weather turns cooler – because crocheting through a sweaty Summer is nobodies idea of a good time. 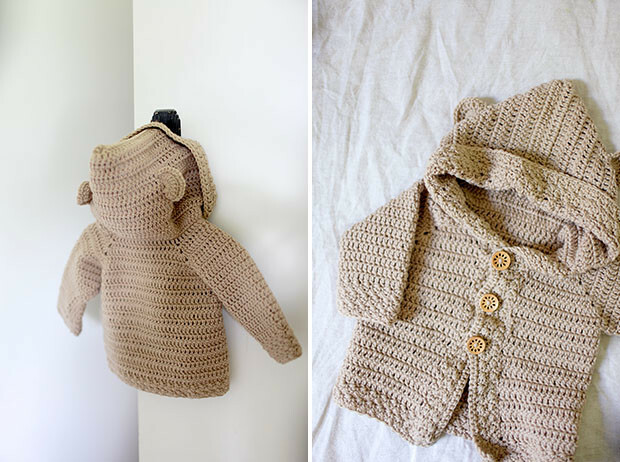 I’ve had this pattern tucked away for a rainy crochet day – a fairly big project but perfect for a special little man – my bestie’s baby boy just turned one, and as we affectionately call him ‘Hunter-bear’ this hooded cardigan with cute bear ears was a must-make for his birthday. 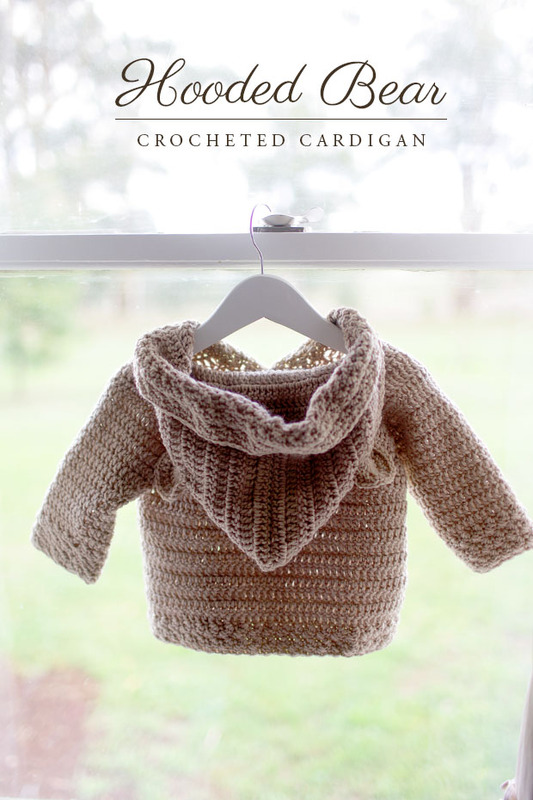 The pattern I used was by Mon Petit Violon, which I’ve used before (this is one of my favourite patterns). 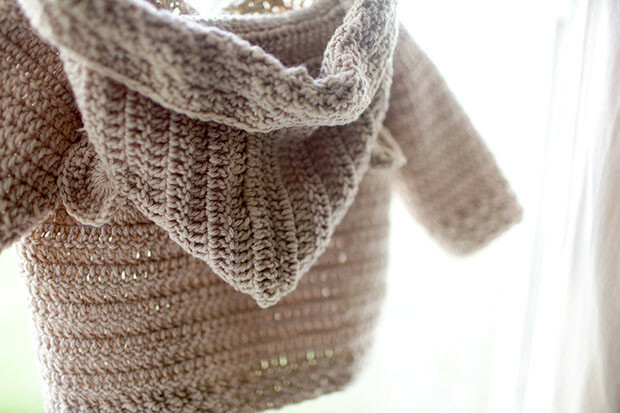 They’re easy to follow with clear instructions, simple steps and easy stitches, using mostly worsted weight yarn. 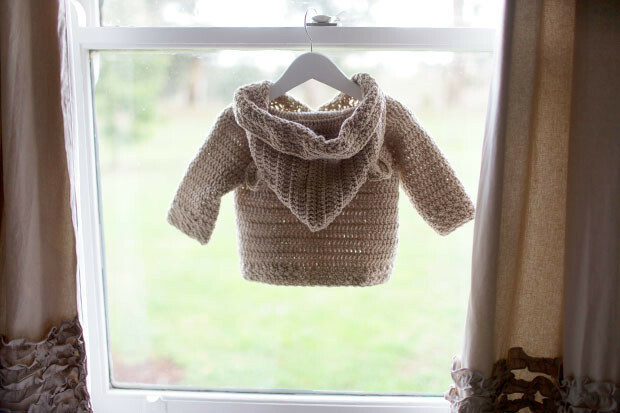 I do tend to crochet fairly tight though so for Hunter I made a size up (2-3 year old size) as I started making the 1 year old size and quickly realised it wouldn’t fit! 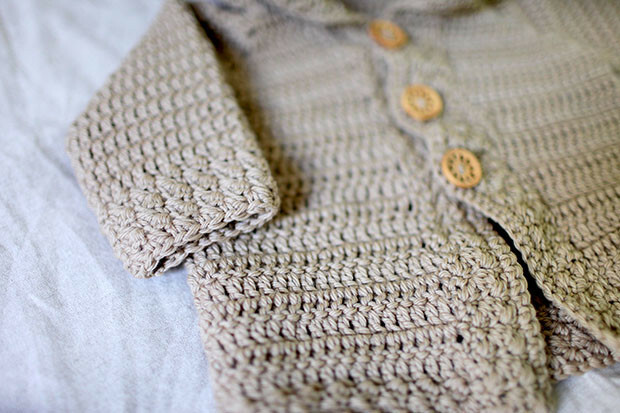 I also only did three buttons as I thought buttons all the way down the cardigan wouldn’t fit across Hunter’s tummy all Winter – he’s a chubby bubby! 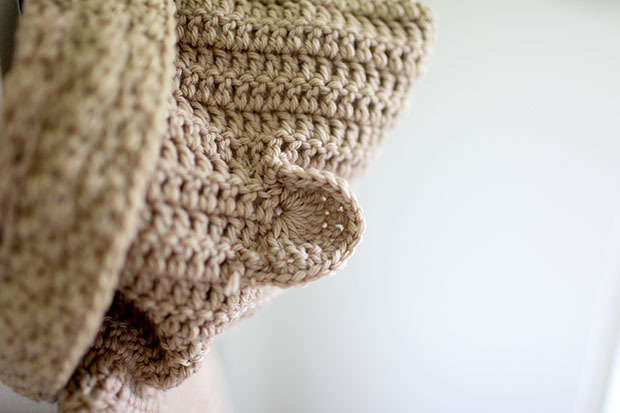 The hood and collar is a fold-back style, which I don’t love, but it does make the pattern super easy to work up quickly. 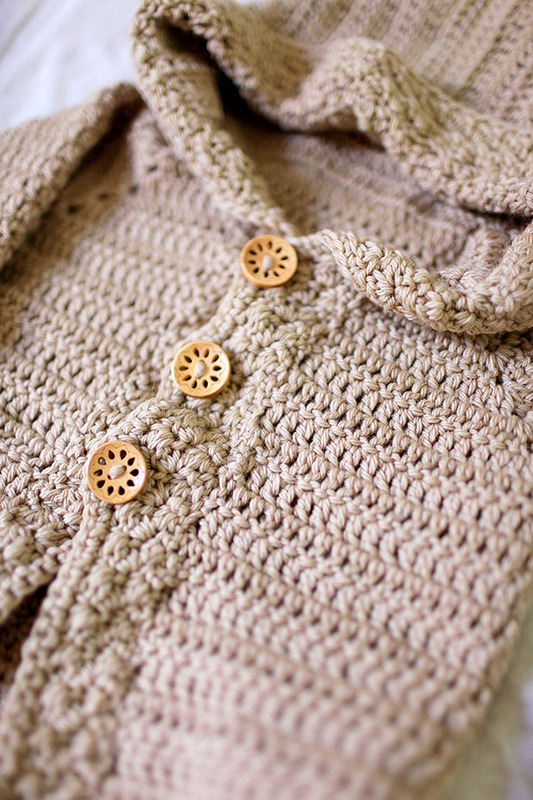 I ran out of yarn with part of the hood to go though and had to order more from Yay for Yarn, before I could finish it off and pop in the post with some other goodies. A little belated birthday gift, but we got there in the end! Very cute! I was saying to C just last night that I need to find a cardi pattern that I like for me because I can’t find any I like in the shops. Not sure that this would fit me, but I do love the hoodie with ears (also not sure I could wear a hoodie with ears to work). The ears are a must. 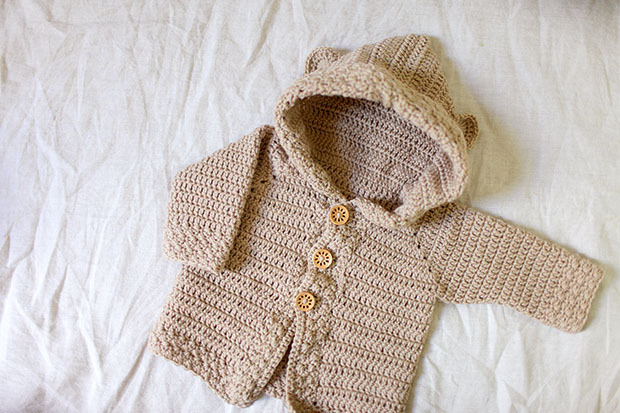 I haven’t ventured into making anything for myself…perhaps I should?